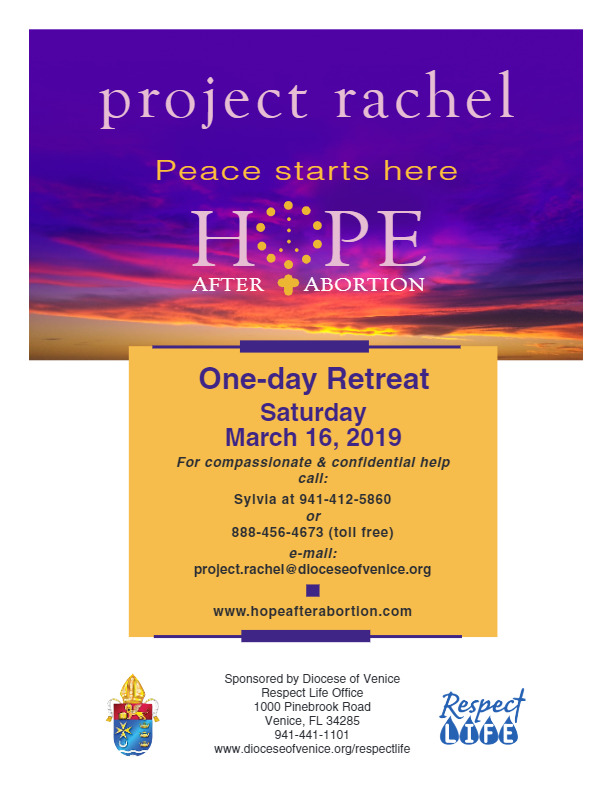 Click HERE for a flier for the March 16, 2019 Project Rachel One-Day Retreat. What does the Church say to women who are experiencing the aftermath of abortion? Project Rachel is named for the Old Testament figure who wept over the loss of her child. Like Rachel, many women discover that the loss experienced after an abortion leaves them traumatized and inconsolable. In their experience of pain and regret, they long for a merciful and compassionate response from the Catholic Church. Project Rachel is such a response. 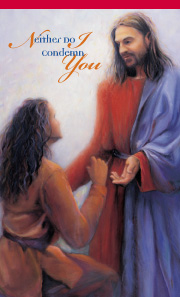 It is an outreach of the Catholic Church to women who are struggling with the aftermath of abortion. Who should I call for more information on Project Rachel? To take the first step toward healing, reconciliation and peace, we ask you to contact the Project Rachel Coordinator, Sylvia, by telephone or e-mail. All contacts are confidential. Call 941-412-5860 (cell) or toll-free 888-456-4673. You may also send an e-mail to project.rachel@dioceseofvenice.org. For additional promotional material please visit our DOV Parish Connect.